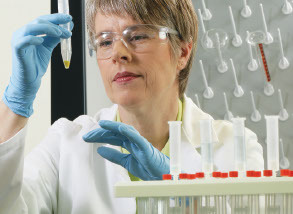 Our range includes ready-to-use disinfectants and sterilants for use in cleanrooms and other critical areas. We offer an extensive range of cleanroom gloves in a variety of materials, sizes and lengths – available in both sterile and non-sterile. We offer a complete range of mops and mopping accessories to assist in maintaining your critical environments. For critical cleaning of difficult to reach stainless steel and other non-porous surfaces. We have a large range of sterile, non-sterile, dry and pre-saturated wipes suited to all your sterilisation and compulsory cleaning requirements. No matter your room grade, we have sterile or non-sterile disposable apparel to meet your needs. Our clean room apparel range includes bouffant caps, hoods, coveralls, aprons, shoe covers, face masks and more. We offer a range of accessories and ancillary products to support your cleanroom and critical environments, including tapes, markers, labels and cleanroom paper.